I was browsing the web and came across this very handy guide for type. I'm a huge fan of type, so I really appreciated this infographic and the many reasonings and explanations of typography. From the common type faces and the anatomy of letterforms, it gives the basics that any Joe off the street can understand. It gets really good in the "What's it Saying" section -- wish I had this cheat sheet in college. I also love the vintage and clean design. From the same article, also came this second nifty type guide. 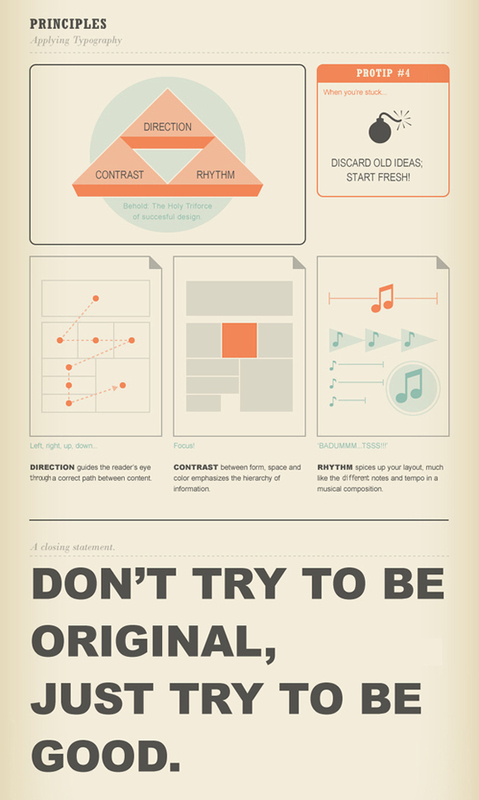 The basic principles of layout.